Wisdom tooth extraction is a common dental procedure, but no one looks forward to experiencing it. But what if your dentist breaks it to you that you need to have your wisdom tooth removed? To help you get ready, here are seven truths you need to know about the procedure. 1. Wisdom tooth extraction is a common dental procedure. According to statistics, there are approximately 10 million molars removed in the US each year. Wisdom tooth extraction is basically a process to remove one or more of your third molars, which are teeth located at the top and bottom of the back part of the mouth. Molars are the last set of teeth to erupt and it usually develops between the age of 17 and 25. An average person develops four molars, but some people have more while others don’t grow any wisdom tooth at all. 2. Wisdom tooth can cause oral health problems and even life-threatening conditions. The development of wisdom tooth is not generally a bad thing, but it becomes problematic when it starts causing health problems. Wisdom tooth can cause infection, cyst, tumors, and damage to nearby teeth and gums. It can also inflict serious damage on vital organs such as the heart and kidney if infection is discovered at an advanced stage. Typically, these conditions result when the tooth is impacted, but tooth decay and other oral problems can also result from fully erupted molars because they are located in hard-to-reach areas, thus making them more difficult to clean. 3. Wisdom tooth extraction is bearable. Wisdom tooth extraction is usually done through a surgical procedure, but there’s no need to fret because you will not feel even a sliver of pain while it’s being performed. 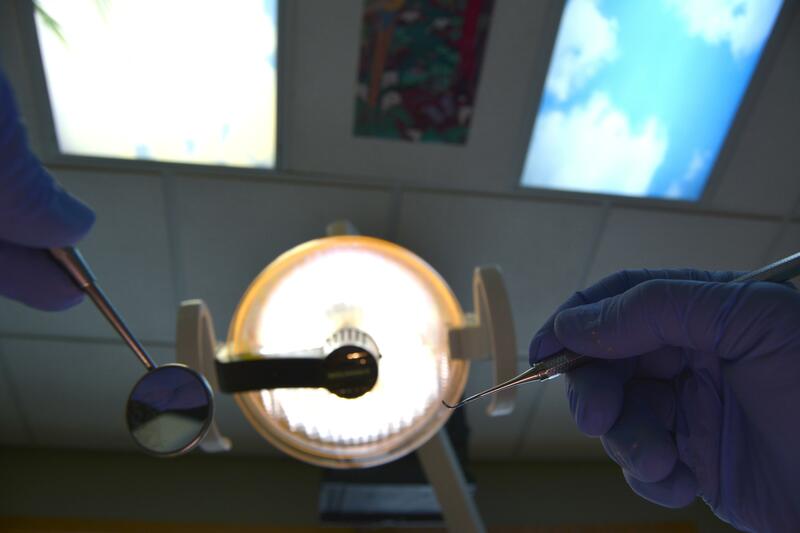 Depending on the difficulty of your case, you may require local anesthesia, sedation or general anesthesia. Regardless, each ensures that you will not experience pain during surgery. 4. It’s advisable to remove wisdom tooth early. Experts say that the best time to remove wisdom tooth is when it is not fully developed. This window is typically within a person’s teenage years and twenties. When a tooth is removed during this period, risks for complications are lower and recovery tends to be faster. 5. Wisdom teeth problems can be asymptomatic. Feeling no pain or swelling in the back of your mouth doesn’t mean that your wisdom tooth is problem-free. There are cases when problems develop without manifesting any symptoms. The best way to keep any oral problem at bay is to have your wisdom teeth regularly checked. Only then will you know for sure if you can keep your molars or need to have them removed. 6. Pain management can be fun. After the procedure, you are required to be on a soft diet, and that includes ice cream, yogurt, and smoothies. Who doesn’t enjoy these treats, right? Aside from tasting good, these cold fares can help lessen bleeding and swelling. Aside from going on a soft diet, your dentist or surgeon can prescribe medication to help you manage pain and discomfort after the procedure. 7. There are ways to speed recovery up. Recovery time is actually a case-to-case basis, but you can be back on your feet and on with your usual routine in a matter of few days. Some of the ways to speed up your recovery from wisdom tooth extraction include avoiding strenuous physical activity, smoking, and sucking on straws after the procedure. Also, see to it that you are less vigorous in brushing teeth close to the extraction area. Wisdom tooth extraction is essential to keeping your oral health in good shape. If your dentist prescribes the procedure, there’s no reason to be anxious. Just think of these seven truths and look at the extraction as a step to a healthier you.